“Bhakti” Refers to the Common Religious Devotion that is held in the heart of a devoted person of any Spiritual Faith to pure love of “God”. When Bhakti And Mantra are together made with Meditation, you will feel like it Heaven and Way to a God. 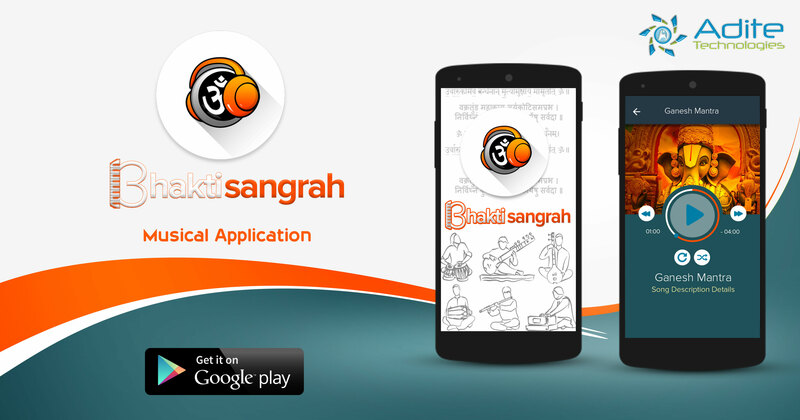 We have Created Such a Musical Application for All Hindu Bhakt/Peoples who like to Listen a God Mantra as well as Chalisa to Every Day and every where you go. Play and Listen Mantra/Chalisa Online that are available at App. Also you can download mantra and chalisa and listen it offline. User get notify when new mantra and chalisa is added. Adite Technologies, Provides IT Services Like, Web Development, Android App Development, I-OS App Development, E commerce Services,Graphics Design. Work with once and get Always In-Support whenever.will provide you well organized and commended code makes it easy for you to customization in Future needs.